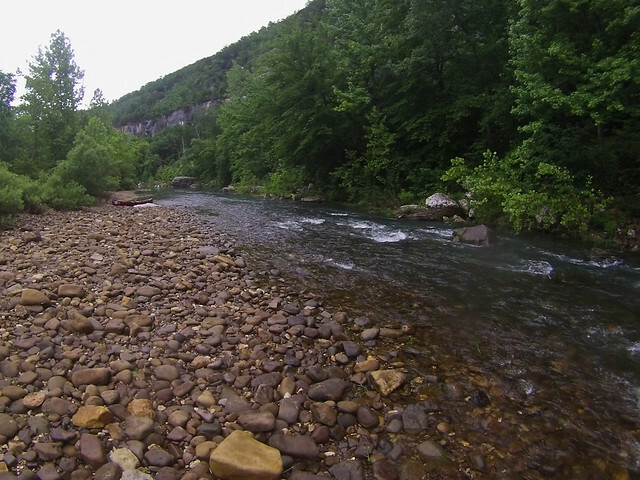 I thought it would be a memorable visit to the Buffalo River, even before we got a flat tire. The plan was to head up there for a float trip, trying to catch the river with enough water before the heat and humidity of the summer set in. But it had been rainy the week before, and the river was running well above average for this time of the year. So we booked a place to stay, and reserved some canoes. I was happy to head up to the Buffalo, one of my favorite places in the state, to spend the weekend with friends and family. Along the drive up there, a tire found a piece of glass in the road. So while we were cruising along Hwy. 74 between Jasper and Boxley, the low tire pressure warning came on. And then came the unpleasant rumble of a flat tire. Great! After getting the tire changed, we did finally get a chance to visit the river. This is the Buffalo near the campground at Steele Creek. There was a good amount of water here, which you typically don't see this late in June. While eating breakfast at the Ozark Cafe the next morning, it started to pour down rain. This was a little worrying, since we were about to start our float on the river. But I checked the radar, which predicted that the rain was to be quickly moving off to the north. No worries! When I reserved the canoes, I was wanting us to do a "family-friendly" stretch of the river. One that was easy and relaxing, where you could sit back and not worry too much. The outfitter advertised the float from Pruitt to Hasty, which fit that bill. But when we got there, they informed us that they weren't doing the run to Hasty. They were instead only going from Steele Creek to Kyle's Landing. Which as we would find out, isn't quite as family-friendly as we were thinking. 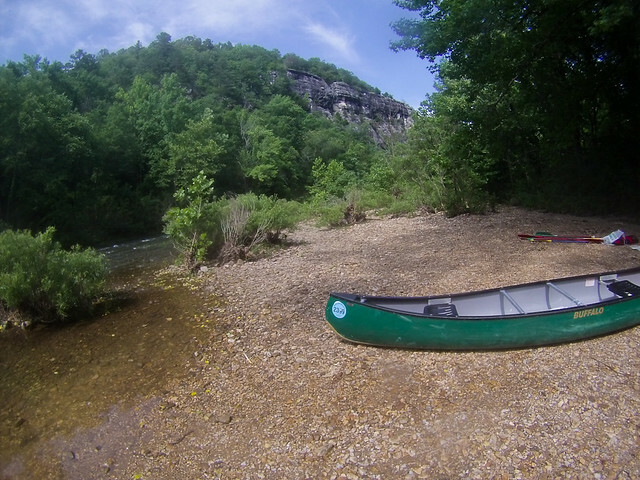 I've floated the Buffalo River several times before, so I thought I knew how to handle a canoe. But this trip was a wee bit beyond my skill level (I've mostly floated the lower parts of the river in the summer, when the most dangerous aspect of the trip is spilling your beer or getting a sunburn). But we put in the canoe at Steele Creek, and within the span of a few minutes hit a rock and flipped over. The Buffalo River Handbook, by Ken Smith, described this part of the float as having "rock-studded, canoe-wrecking rapids." We didn't manage to wrap the canoe there, but did have to scramble to get the paddles and life jackets, which had floated away down the river. But that was just the start. One part of the float is described where "the river goes rollicking down one of the longest, fastest rapids of the Buffalo - several hundred yards of open, racing water, swinging to the left, with standing waves." There is one spot, called Blue Rock Hole, with "three giant boulders on the left. The river exits through a rock-studded slot." This, I think, is the spot where we managed to get our canoe wedged sideways on the rocks, with the full current of the river pushing against and under the canoe. We managed to get free, but went through the slot backwards. How we managed to not tip over here is a miracle. 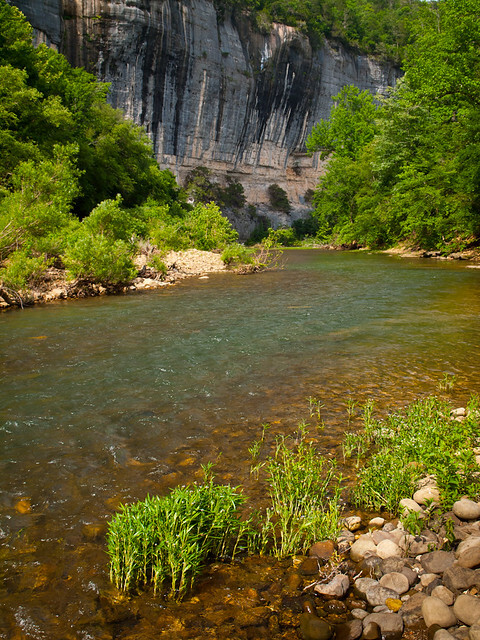 And then there is the "Buffalo River's premier rapids," which have the charming name of Hell's Half Acre. Ken says this spot is "three more or less distinct sets of ledges in about 500 feet of water - shallow rock to hang up on, big waves to be swamped by. 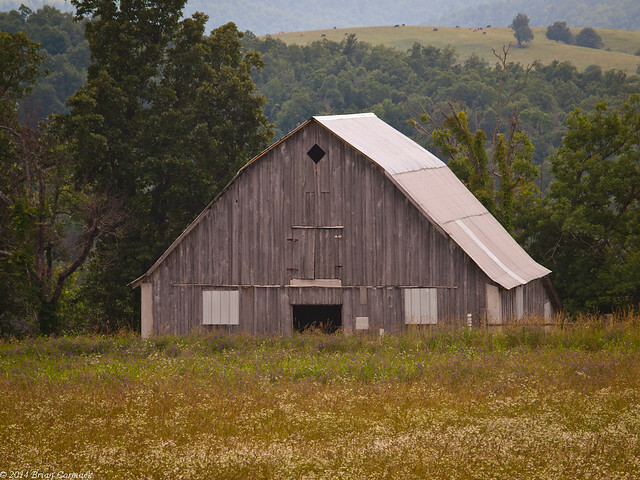 With adequate water the skilled - or the lucky - make it through unscathed." We just played it safe and carried the canoe past this spot. And when the float was finished, the second part of our journey began. That would be the 70 mile drive from Jasper to Russellville along Hwy. 7, on a donut spare. Which even though I had to drive slow (much to the annoyance of everyone behind me ), we did make it there in decent time and got a new tire. So all things considered, it was a memorable trip. Can't wait to do it again (on a slow and easy part of the river, with no rapids or rocks). During the last week of May, my wife and I took a little trip down to Mexico. We found a good deal for a resort on Groupon, at an all-inclusive resort right on the ocean in the city of San José del Cabo. So we headed to the airport, looking forward to a week away. Our flight had us going to Dallas, then going onto the connecting flight to San José del Cabo. We went through the security line at the Little Rock airport in record time, I don't think there was even anyone else in line ahead of us. We soon boarded the plane, eagerly looking forward to landing in Mexico in a few hours time. But Mother Nature and American Airlines had other plans for us. A storm was perched over Dallas, which shut down all of DFW Airport for a few hours. They let us walk back into the terminal after sitting on the plane for awhile, and there we waited until the storm moved past Dallas. When it finally did, and the airport reopened, our flight was delayed about three hours. Our connecting flight left on time, however. Which meant we got to spend the first night of our vacation in a romantic and lovely hotel just outside of the DFW airport. We had a flight early the next morning, and finally landed at the San José del Cabo airport around Noon. It was annoying to lose a day of our vacation, but nice to finally get there. 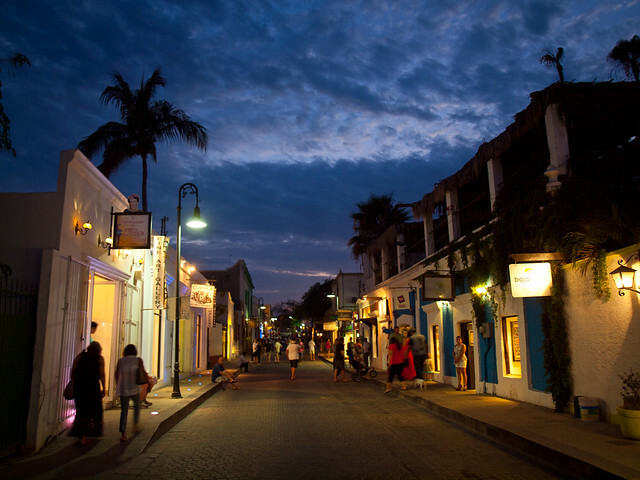 The city of San José del Cabo is located right on the very bottom of the Baja Peninsula, and has a population of around 70,000. We headed out to explore the city one night, when it was their weekly "Art Night." 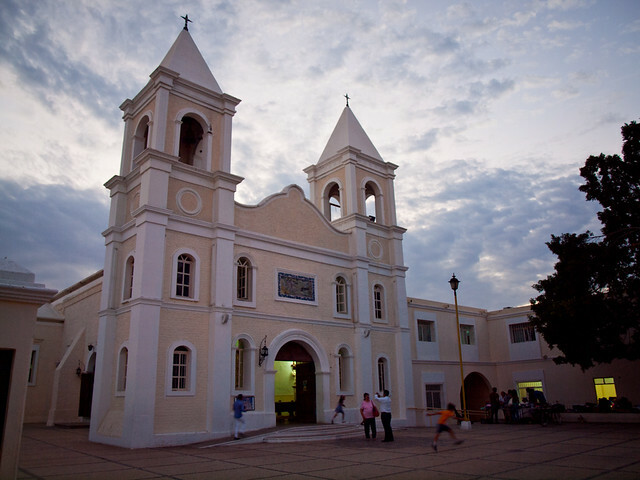 In the heart of San José del Cabo is an Arts District, surrounding the old Catholic Church, or the Misión de San José del Cabo Anuiti. 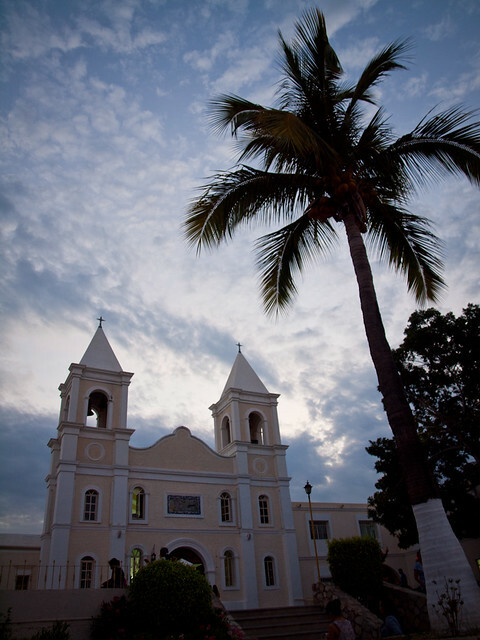 The city of San José del Cabo was founded way back in 1730, but it served as an important port for the Spanish Navy long before then (there was a lot of pirates in the waters). The city was founded by the Spanish because they thought they needed a permanent city there to help quell the pirate raids. So some Jesuit Missionaries came in and founded the city, and built some of the old colonial architecture that still stands there. And another shot from one of the streets near the old church, in the Arts District. I wished that I had my tripod with me when I saw the sky. 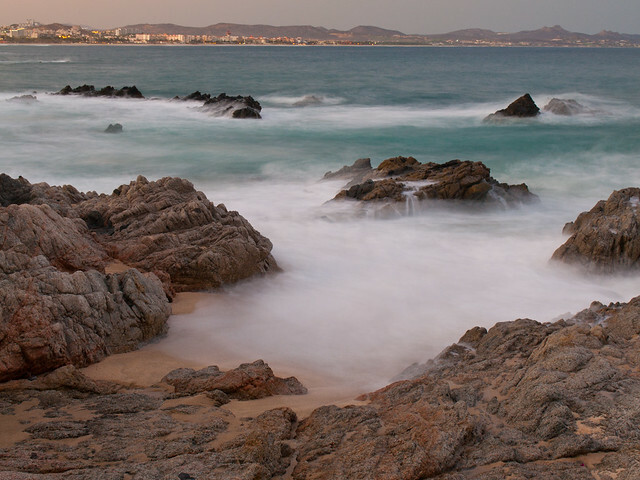 The beaches around San José del Cabo are rough, and swimming is highly discouraged due to "rogue waves" and riptides. 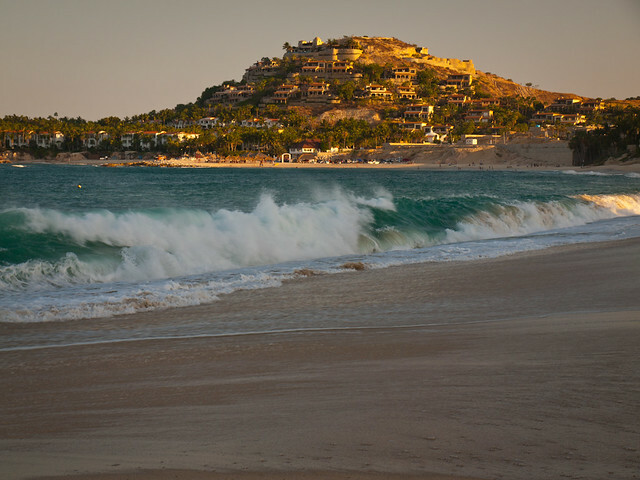 But there are a few places where you can safely swim, one of those being a beach called Playa Palmilla. The surf is calm enough there to get out into the water, which I tentatively did for someone who isn't used to the ocean. This is the view of the beach, with what I assume are some extravagantly expensive homes sitting on the hill over the water. 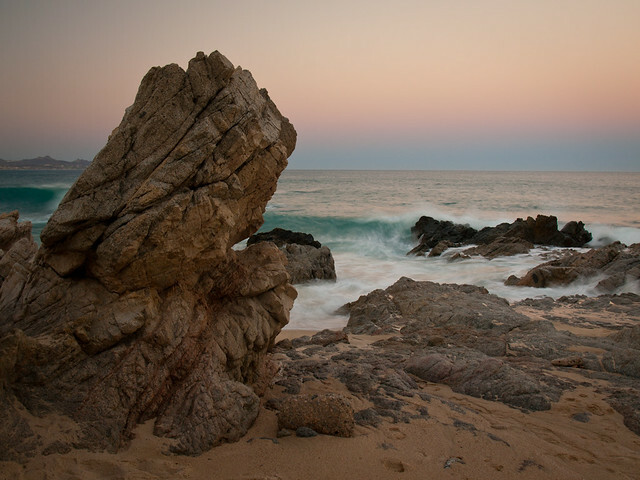 We walked further down the beach to a spot where some rocks were sitting defiantly in the constant waves. I did have the tripod with me this time, and I tried to take a few pictures as the waves crashed and swirled in between the rocks along the shore. This was a neat area, and was surprisingly empty considering this was such a touristy area. 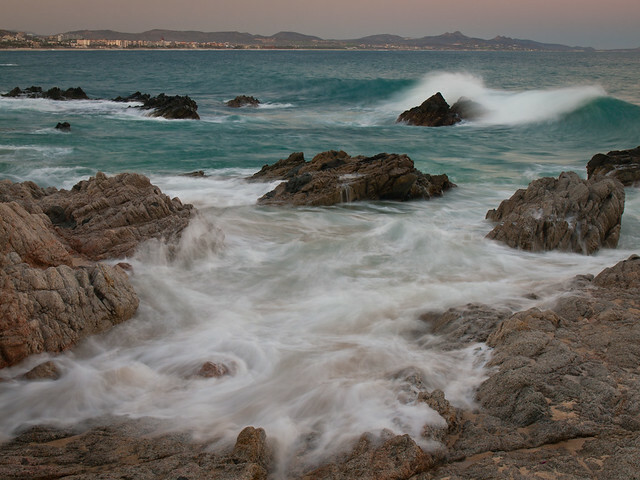 And one last shot from the beach, a four second exposure of the waves crashing into the rocks.